At Alpine Elements we know winter’s too short for a bad week on the slopes, which is why we run our chalets with brilliant people in top-notch resorts across the French and Austrian Alps. Because we also know that truly epic ski holidays don’t happen by accident. Let us sweat the details on every single holiday, so that you don’t have to! Our prices are frozen for next winter. Make use of group discounts and free lift pass and ski hire offers for groups! 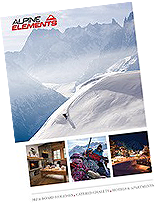 Book an Alpine Elements Holiday and the monies you pay are fully protected! Up to 2 FREE Spaces for Groups! Get up to 2 FREE Spaces for groups of 6+ persons and get FREE ski/board hire and FREE lift passes while stocks last.